I’ve always thought that the best gardens are those that make people happy and comfortable. 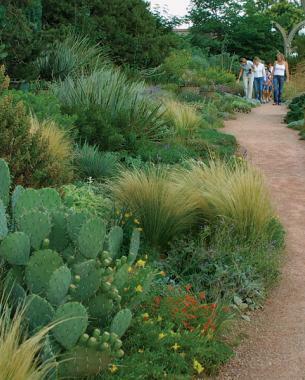 Sure, great gardens look good, but they have to feel good, too. The gardens I admire most are relaxing, easy to move through, and not too hard to maintain. 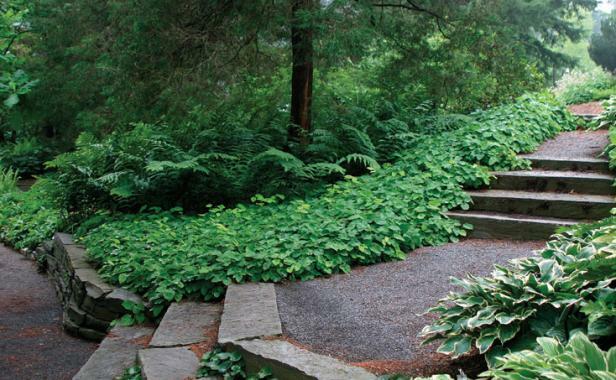 Paths and structures must be simple to navigate, while the plants selected must provide interest and serve a function without being bullies or prima donnas. As a landscape architect, I tackle these issues of comfort and utility every day. Here are 15 practical tips that have helped me create enjoyable, livable gardens for myself and my clients. Make sure your pathways are wide enough for comfortable passage. Nobody enjoys squeezing through narrow spaces, indoors or out. Main thoroughfares should be wide enough for at least two people to walk side by side, no less than 5 feet. For secondary paths where people walk single file, the width should be at least 3 feet. 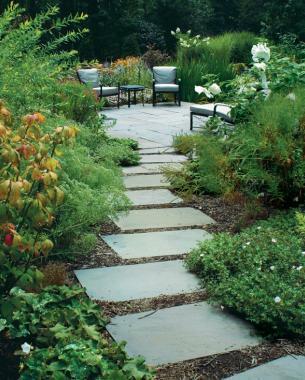 Keep in mind that the taller the plantings or structures that flank your walkway, the wider the path needs to be. Tall boundaries make any space feel more restricted. 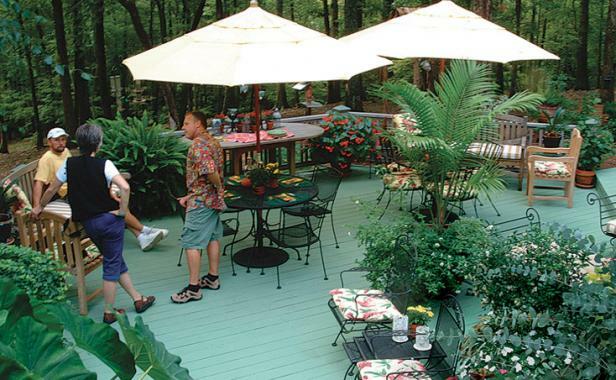 Patios and decks are perfect spaces for outdoor entertaining. Plan for enough room to accommodate dining and mingling. Consider how many guests you’re likely to host regularly and then plan on at least 4 square feet of space per person. Outdoor dining means outdoor furniture, so try to leave a 3-foot-wide perimeter of open space around any furniture grouping to allow for comfortable circulation. Be certain that any paving provides secure footing. Avoid slick surfaces or loosely set pavers that wobble. Paving materials like polished granite or smooth outdoor tile may not offer enough traction in rainy and wintery climates. Gravel walkways are fine—just use unsifted gravel. Unsifted gravel contains various-size aggregates, which compact firmly and provide a solid footing, while sifted gravel is made up of similar-size aggregates, which do not compact well and remain loose underfoot. Whatever your paving material, make sure your paved surfaces are slightly sloped (1 to 2 percent) to keep water from pooling on them. 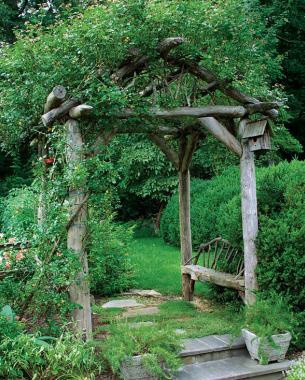 Leave plenty of headroom under archways, arbors, and pergolas. I consider 7 feet to be the minimum, and I usually add at least another 18 inches if I know there will be plants growing over the structure. This may sound high, but outdoor structures tend to look smaller than they would if they were indoors. Plus, it’s better to be safe than sorry and to avoid butting heads with a climbing rose or wisteria. Posts for arches and pergolas should be set at least a few inches outside the pathways that run through them to allow adequate elbow room. Give your plants room to grow. If you must have a dense, full landscape right away, plant with the intent to relocate or remove some plants as they mature. You can also plant quick-growing, short-lived “filler” plants to temporarily bulk up your plantings. Some of my favorite fillers include delphiniums (Delphinium spp. 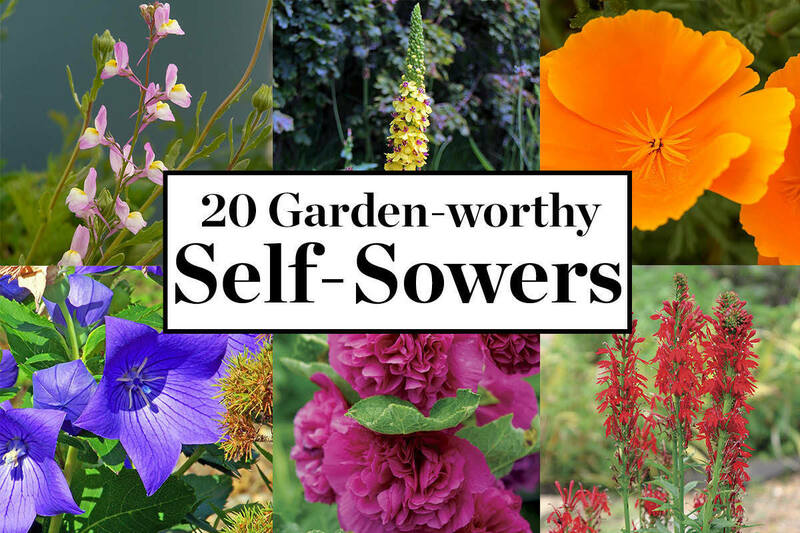 and cvs., USDA Hardiness Zones 3–7), tall verbena (Verbena bonariensis, Z 7–11), butterfly bush (Buddleia ‘Lochinch’, Z 6–9), and golden tree mallow (Lavatera thuringiaca ‘Aurea’, Z 7–9). Just keep track of which ones are prolific self-sowers, like tall verbena, to prevent fillers from taking over. 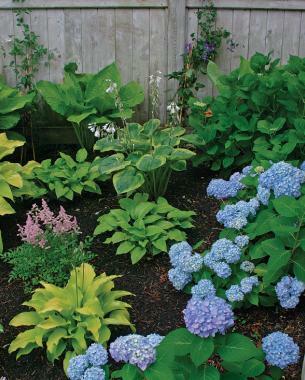 Place any plants more than 30 to 36 inches tall at least 2 to 3 feet back from walkway and patio edges; otherwise, these spaces may feel unduly cramped and crowded. While you’re at it, try to keep thorny plants like roses (Rosa spp. and cvs., Z 2–11) or pungent plants like crown imperials (Fritillaria imperialis and cvs., Z 5–9) away from high-traffic areas. If you want to plant a rose on an arch or pergola over a walkway, consider thornless, fragrant old garden roses such as ‘Reine des Violettes’ (Z 5–9), ‘Mme. 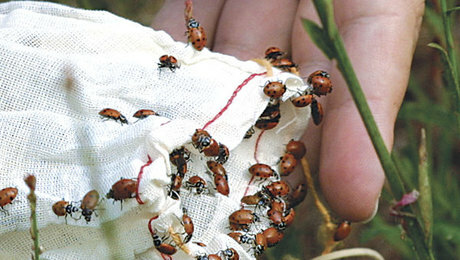 Legras de St. Germain’ (Z 3–9), or ‘Zéphirine Drouhin’ (Z 5–9). 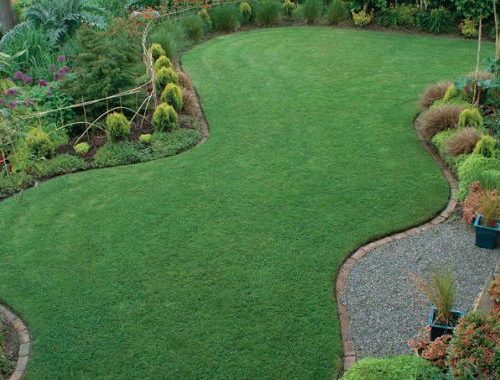 A lawn can be costly and labor intensive to maintain, but no other surface is quite so yielding, so comfortable for lounging, or so resilient and forgiving for play. Nor can any planting take the kind of foot traffic that lawns regularly endure. Indeed, turf is a special garden feature, so use it wisely. Don’t waste the effort of keeping a lawn where low-maintenance paving or plants might serve just as well, but don’t skimp on the grass for areas where you’ll enjoy it. 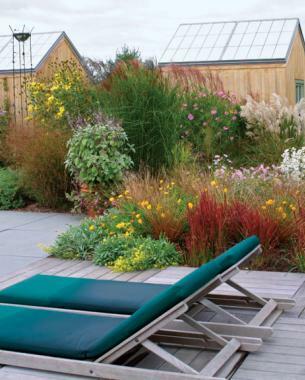 A sweep of green grass can also be the perfect counterbalance to bountiful beds and borders. 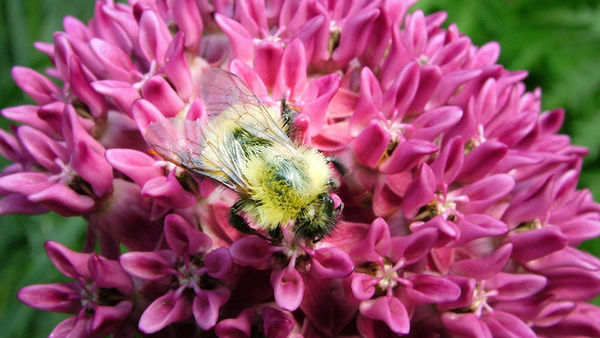 While flowers are a highly attractive attribute, many plants offer more than just blooms. Look past the flowers and use foliage, fruit, and bark for year-long color, form, and texture. 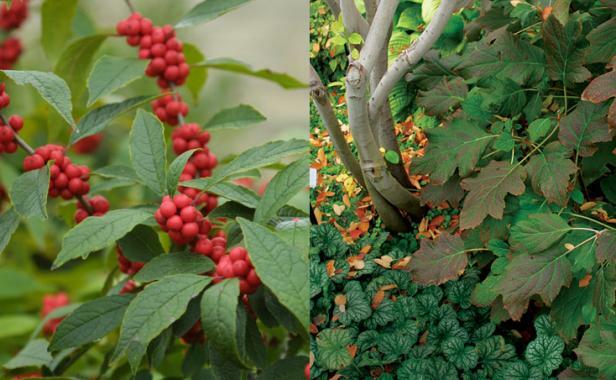 Spring and summer may be showtime for flowers, but autumn belongs to the turning leaves of oakleaf hydrangeas (Hydrangea quercifolia and cvs., Z 5–9) and the fruiting branches of winter­berries (Ilex verticillata and cvs., Z 5–8). Likewise, winter raises the curtain on the stems of redtwig dogwoods (Cornus stolonifera and cvs., Z 3–8) and the glorious bark of paperbark maple (Acer griseum, Z 4–8). By choosing plants with multiple ornamental assets, you will extend your garden’s seasonal appeal. 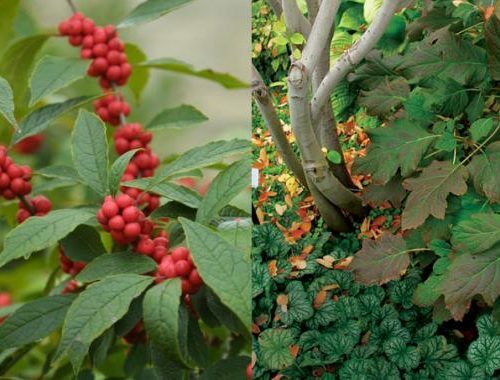 Winterberry (left) and oakleaf hydrangea (right). Photo/Illustration: Jennifer Benner. Beauty may be skin deep, but plants can do more in the garden than sit around and look pretty. 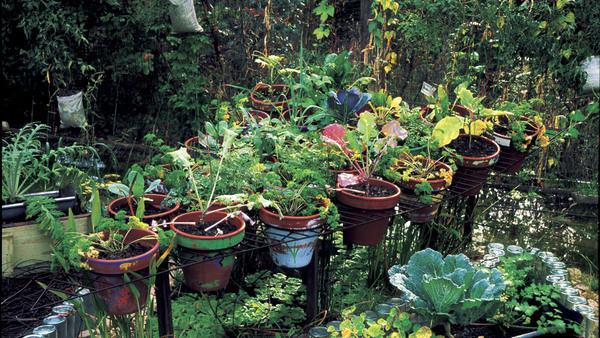 The right plants, used the right way, can actually add comfort and utility to your garden. 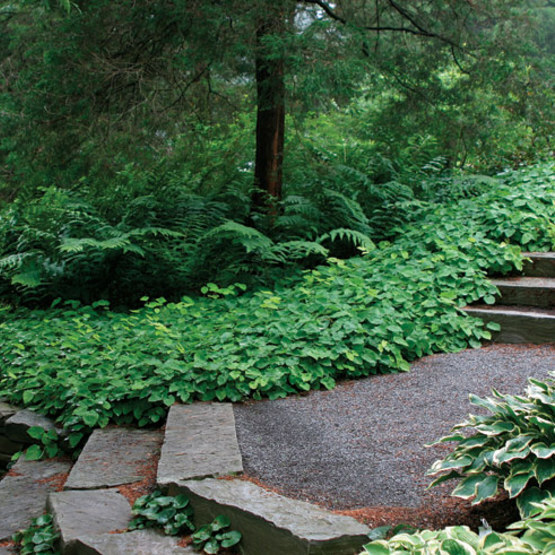 Conifers and broad-leaved evergreens can protect your garden from harsh winds. 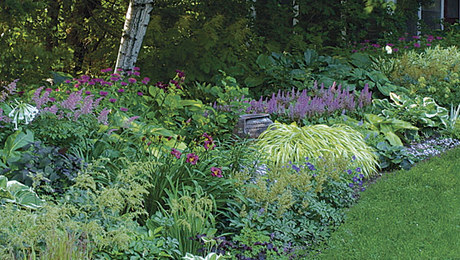 Large-scale perennials or ornamental grasses can make an “instant” privacy screen. 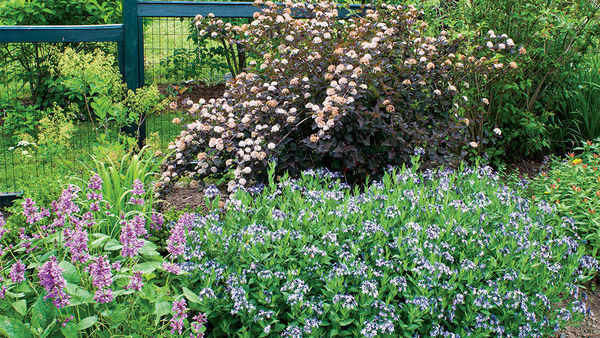 A well-placed tree or tall shrub border can provide a shady oasis in the heat of a summer’s afternoon. Don’t think you have enough room for a tree? Think again. With so many compact ornamental trees available, there’s probably one to fit any property. 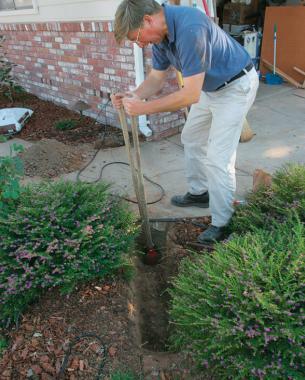 If you are installing or digging up your garden (or you just need something to add to your to-do list), consider laying down electrical conduit and irrigation piping 18 inches belowground along pathways and near bed edges—even if you have no current plans for lighting or irrigation. In a few years, you may be glad you did. Wiring and plumbing are easy to install later if the piping is already there, and you won’t have to disrupt established plantings or rip up your paving. 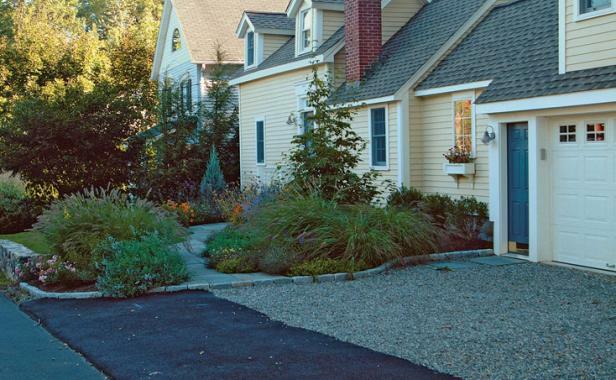 It’s hard to leave your driveway safely if plants or structures are blocking your view. 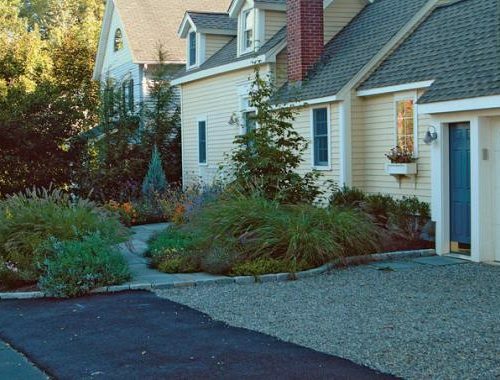 Survey the visibility from your car in all directions before installing shrubs, walls, or fences. While you’re at it, make sure your plantings and structures don’t block the views from your neighbors’ driveways, either. 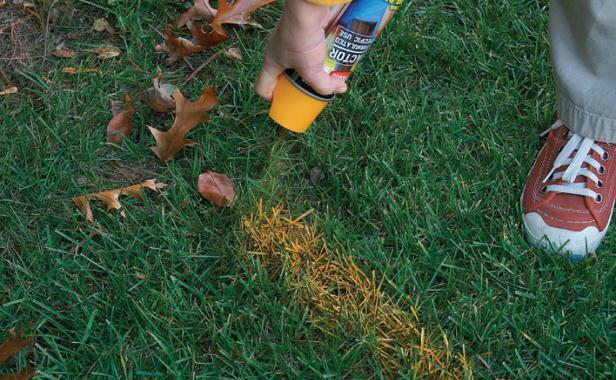 Check with your neighbors before making any major changes in your landscape. Why provoke years of rancor, when locating a tree just 5 feet to the left of your proposed site could save your neighbors’ best view? Your neighbors may not necessarily share your taste in design, but keep in mind that your landscape will have more impact on them than your interior decor will. 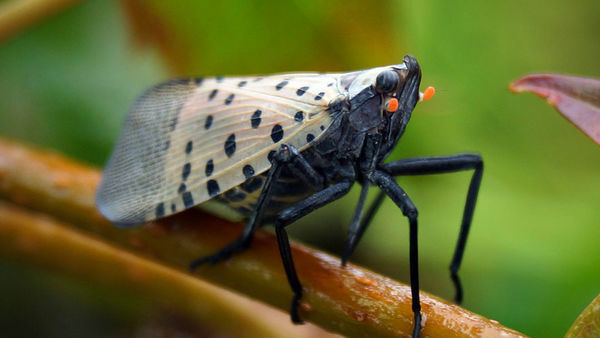 After all, you’re not the only one who sees your yard and garden every day. Few things in gardening are as annoying or inconvenient as driving a pick or trenching spade into a buried pipe or cable. Locate all pipes and underground utilities if you plan to change grades or to dig trenches more than 18 inches deep in your garden. Most municipalities or local utilities offer services for finding and marking underground lines, usually for no more than a nominal fee. Don’t dismiss building codes for outdoor structures as arbitrary inconveniences. They are devised for your safety and for the safety of your guests. 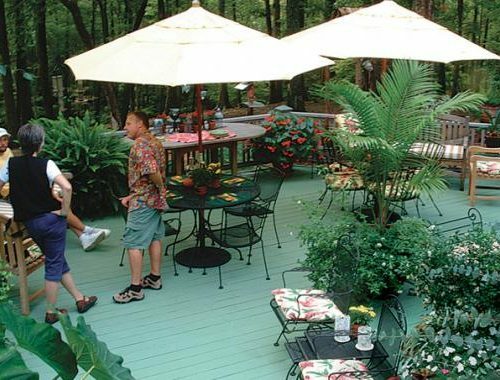 Maximum allowable heights for walls and fences, setback requirements from property lines, and railing heights for decks, stairs, and terraces are regulated in many building codes. 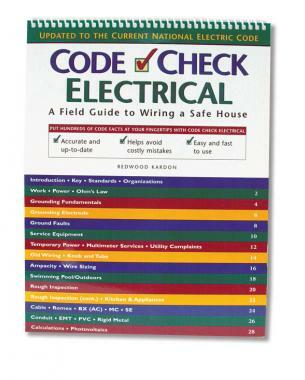 Specifications for electrical fixtures, conduit, and wiring may also be subject to regulation. The Taunton Press offers a handy code reference series called Code Check, but it’s a good idea to ask your zoning board and building official for local building-code information. Building codes can differ from state to state and town to town; it’s better to be safe than sorry. 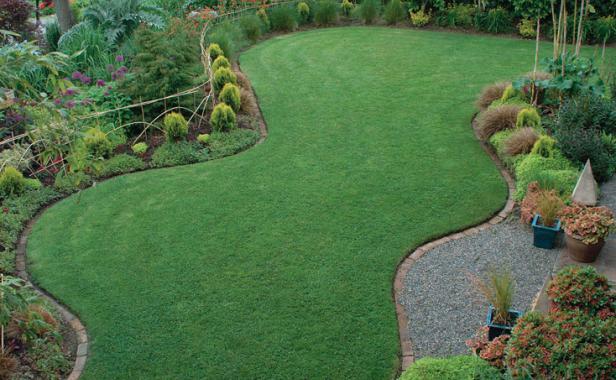 Great tips on designing a garden. Wide berths are definitely important; I can't tell you how many times I've had to squeeze through a narrow little passageway when walking through a garden. Very annoying. 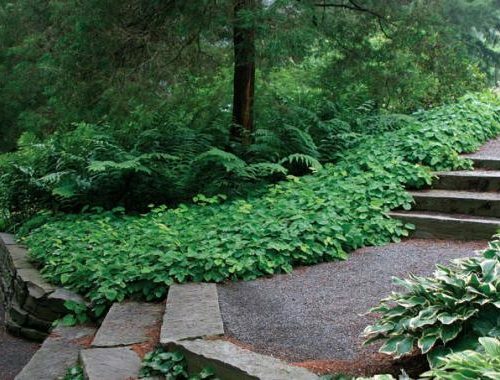 Speaking of garden designs, I stumbled on a program online that provides 7000+ landscape designs and plans for people to look through. On this page (https://carveyourcreation.com/ideas-4-landscaping-review) the guy talks about using it to build a "dream" Japanese garden. 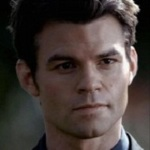 What do you think of this program? We recently bought a house with a nice outdoor space, so we want to transform it into a stunning and relaxing place. We started talking with a garden paving Leicester supplier, an arborist, and other professionals to help with our plans. 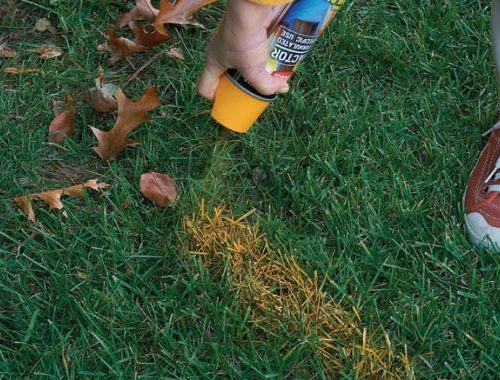 These tips will help us a lot as well, especially the ones about outdoor codes and making preparations for the future. Thanks! Thanks a lot for the blog article.Really thank you! 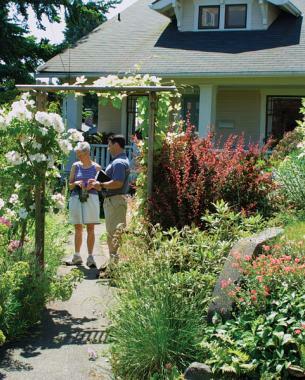 Awesome tips for gardening and landscape planning.